Gone are the days of hiding unattractive radiators, it is now time to celebrate them by adding designer heating into your home. Radox offer a diverse collection of radiators which encompasses contemporary, sleek designs as well as traditional, period options which make them ideal for any home. Each radiator is made to the highest quality to provide you with a desirable, affordable and stylish product which will bring back that touch of romance into staying warm. These unique and innovative quartz radiators have been designed to meet your every need. They bring a radiance of colour and warmth into any room, with different patterns to suit all tastes. 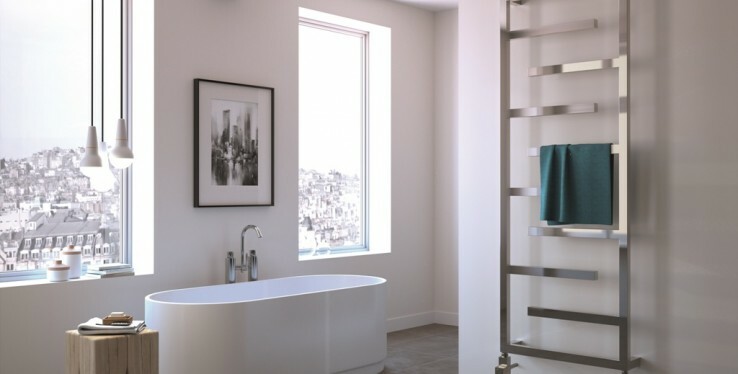 As well as being aesthetically pleasing, the radiators are available with a mirror finish and can be fitted with a towel bar for that practical element. Inspired by the Manhattan skyline, these versatile radiators can be used in living rooms, hallways, bedrooms and even your bathroom. They are available in black pearl or lime green and a variety of sizes to tailor to your home. We can guarantee that this little beauty will always keep you warm and you can experience one of New York's most popular landmarks, from the comfort of your own home! If you are looking for something a little more classic but with a modern twist, this Iris open ended radiator will add just the touch to your bathroom. This stainless-steel radiator is fully reversible for left or right-hand situations and if you fancy a different size, a smaller tube is available with exactly the same heat output. Perfect for keeping you warm for the colder months. Make a statement in your home with this Diamond. This stunning radiator adds designer heating to any room, quickly and efficiently and is a premium alternative to standard radiators. It is completely unique from anything on the market and it is sure to be an eye-catching focal point for the room you choose. This blog has given a small teaser of what Radox has recently launched. At Real Stone & Tile we want to help you create your dream home. If you feel inspired to jazz up your radiators, be sure to visit our Cheadle showroom or call us on 0161 485 1373 – we're open 7 days a week!